Indians of North America - Alberta - Fiction. 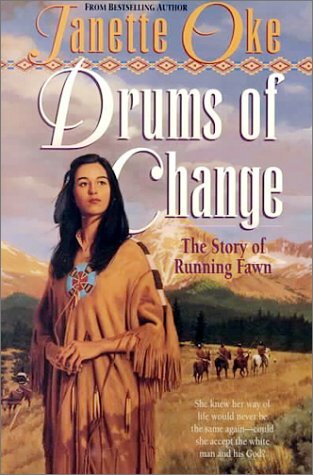 Running Fawn loved her place of birth, the site of the Blackfoot tribe's winter camp, more than words could express. The stillness of the mountain, the giant spruce and pine that covered the hillsides, the call of the loon on the lake, and the gurgle of the spring that squeezed its crystal water from the rock crevice she couldn't even imagine a different kind of life. This was her home. But the coming of white men with their guns and diseases, the prairie fires that swept the grazing lands, and the quick slaughter of the vast buffalo herds leave her Blackfoot tribe with little choice but to take up residence on the assigned Reserve. All too soon, the world that Running Fawn has cherished is left behind. The chief's son, Silver Fox, and Running Fawn are chosen to attend classes at the Mission Boarding School in Calgary. How can she adjust to the strange new world? To the loneliness in this place far from her home and family? And how should she respond when Silver Fox shows more than a passing interest in the white man's God and in her?